Readers, I feel like a terrible blogger at the moment. I’ve really found it difficult to find the time to write about my kitchen exploits. It’s not that I haven’t been in the kitchen; it’s the transferring recipes to my little space of the internet that’s been the problem! 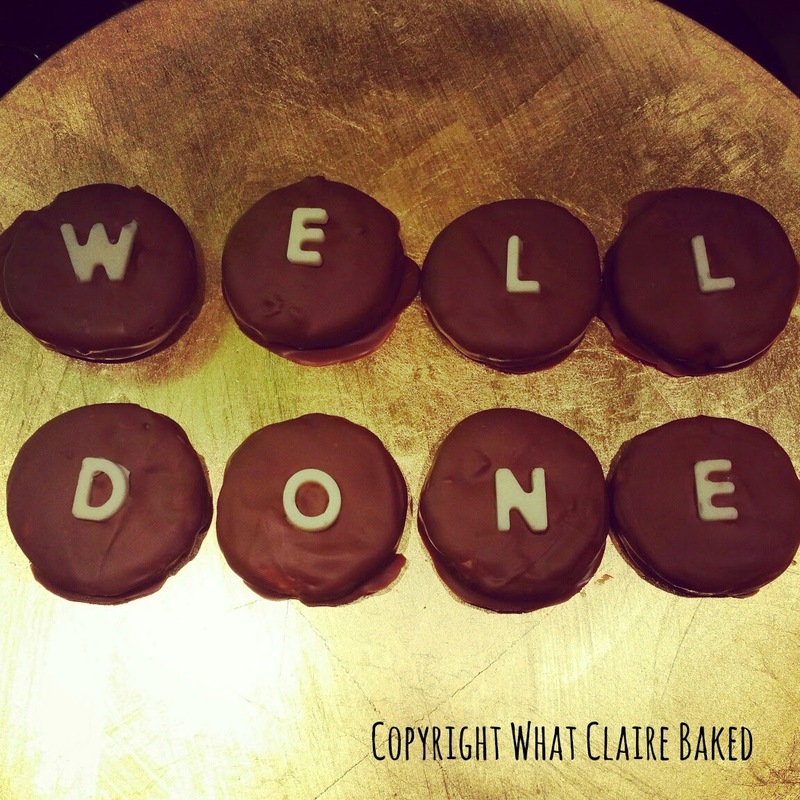 I made these biscuits as a surprise for Mr WhatClaireBaked last weekend after he received some good news. I wanted to something different from the usual card. These have lasted 4 days in the fridge in an airtight container but they were a little soft by tonight. 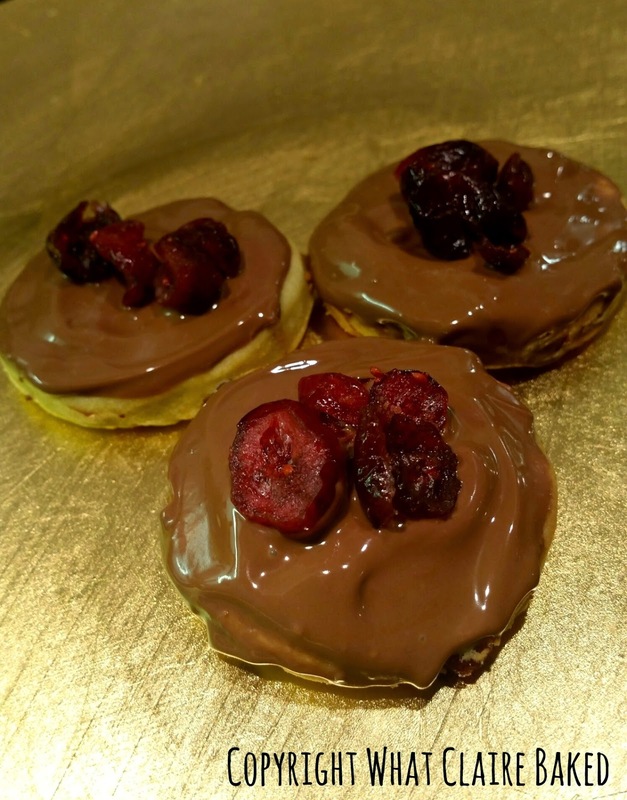 Also – these biscuits are made without adding any sugar to the biscuit mix – the sweetness comes from the milk chocolate and sweetened dried cranberries. Definitely a recipe kids could help with in the kitchen this year. 1. Preheat the oven to 160c (fan). Sift the flour and baking powder into a bowl and cube the butter. Using your hands, rub the butter into the flour until completely mixed in and fine breadcrumbs have been created. 2. Chop the cranberries into small pieces and grate the orange with a fine grater. Add the orange zest to the mix and stir to combine. Add the cinnamon and stir. 3. 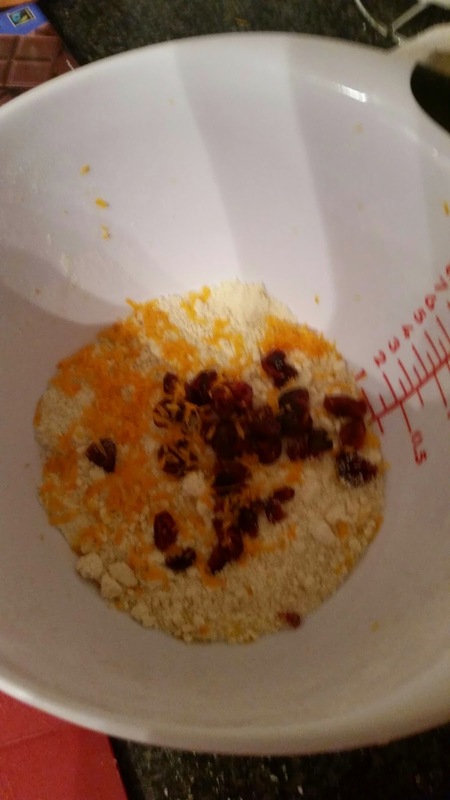 Squeeze the orange juice into the mix and stir until a dough is formed. You might need to add a little water, or flour depending on the consistency of your dough. It should form into a ball. 4. 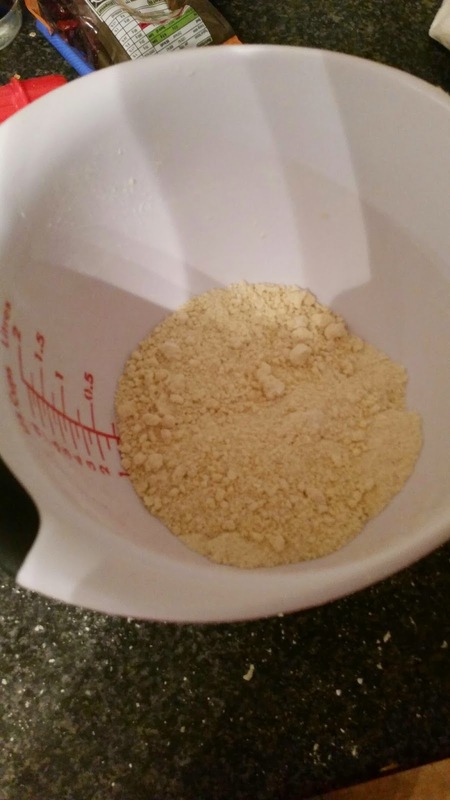 Transfer the dough to a floured board and roll out the mix to around 5mm thick. Using a non fluted cutter, cut circles out of the mix and re-roll as necessary until all your mix has been used. 5. 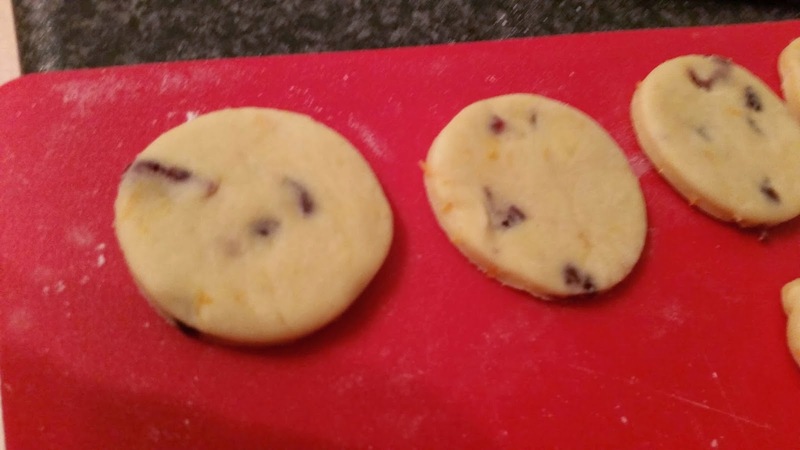 Transfer each biscuit to a baking tray lined with baking paper. Bake in the oven for around 10-12 minutes until lightly golden on top. Once ready, transfer to a cooling rack until cold. 6. Melt the chocolate in a deep heatproof cup or bowl in the microwave. Once the biscuits are cool, stick a skewer in one side, like a lollypop. 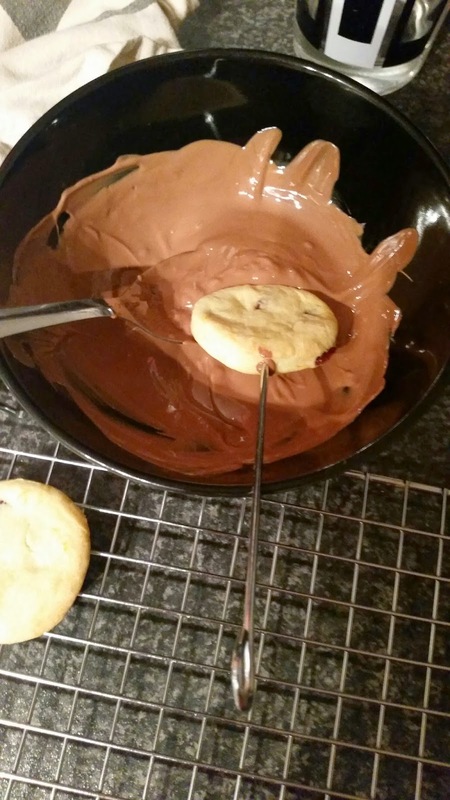 Dip the biscuit in the chocolate mix and remove from the chocolate. Let any excess drop off before transferring to a tray with baking paper. Allow to set on the tray, in the fridge. Top with additional chopped cranberries or chocolate letters.